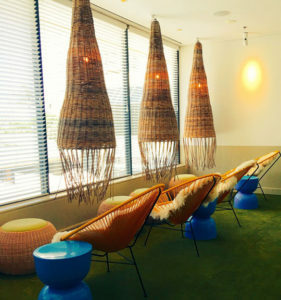 With its funky vibe and cool atmosphere, it’s no surprise that the QT Hotel Gold Coast’s quirkiness extends to its high tea offering. Their imaginative menu will tantalise, treat and trick you! Cheeky “so Gold Coast” inclusions in this high tea include a bikini babe (shortbread biscuit with zingy lemonade icing), dark chocolate lips and a Gold Coast thong – of the flip flop variety, not underwear (dark chocolate base with a peach blood orange mousse centre, white chocolate strap and a marshmallow flower). 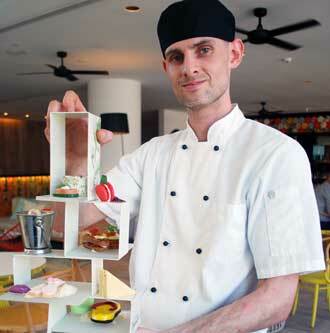 At QT Gold Coast’s QTea, you’ll find most of your high tea favourites with a sprinkle of QT quirk. The fantastic array of sweet and savoury treats – some of which may blow your mind – are paired with your choice of teas from T2 or you can add a little something extra to your experience by sipping on some delicious Champagne Perrier-Jouet. Located just a short stroll from Surfers Paradise Beach and Cavill Avenue, QT Gold Coast is a favourite with local and international visitors alike. The hotel’s 1950s-inspired beach-club resort feel coupled with its upbeat atmosphere is a draw card. television presenters from The Today Show stayed at QT Gold Coast before their live broadcast from Burleigh Beach in October (where samples from QT’s high tea menu were also featured live on TV). Soon after arriving at the hotel’s FIXX Café, near the main foyer, to experience our QTea, we were attended to by friendly team members and received our glass of Champagne Perrier-Jouet and bottles of water. With colourful fine bone china positioned on our table, the setting was relaxed and casual. It is a perfect spot to enjoy the morning papers, catch up on some magazine reading, enjoy the views out to the pool area, and of course engage in some people watching. Well dressed women assembled to celebrate birthdays and other special occasions and there were holiday makers, tourists and visitors also checking out the QT’s high tea offerings, relaxing on the lounges and sipping on coffee. When our high tea stands (by Anna Vasily) arrived at our table, chef Daniel explained the menu items to us and demonstrated his passion and pride with when it comes to providing excellence for QT’s guests and visitors. 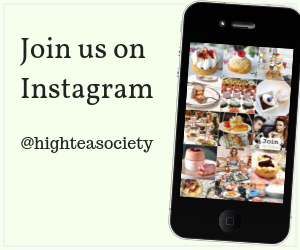 This was high tea with a twist and an opportunity to indulge. What appears to be your typical finger sandwich was actually a faux ham and cheese sandwich. The sweet dish is actually a French Madeline sponge with a vanilla crème and peach gel inside. The red macaron – which you’d be forgiven for thinking might taste like a sweet meringue-based confection – was in fact savoury! The tomato macaron features tomato consommé gel, cream cheese and basil from QT’s garden. It was an interesting experience allowing your mind and tastebuds to comprehend the different visual and taste elements. I particularly enjoyed the vegetarian sushi hand rolled by QT’s sushi master from the hotel’s Japanese restaurant Yamagen, the house-made quiche and salmon roulade, as well as the fancy scone complete with cupcake trimmings and a waffle cone. The staff were prompt, cheerful, and outgoing. We must have looked content with our champagne as we weren’t offered tea. But we are assured the selection of T2 tea is enjoyed by all. All in all, I felt it was great value, a unique experience and something to add to your “must do” list if you’re in or near south-east Queensland. 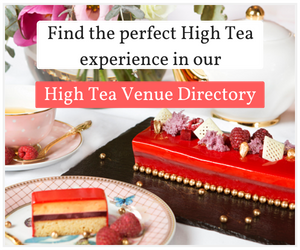 If you’re looking for somewhere to enjoy brunch, celebrate a birthday or special occasion, or even a chance to gather the girls for a good old fashioned catch up, you can’t go past high tea at QT Gold Coast. Take your friends, family or colleagues, you won’t be disappointed. Tomato macaron with tomato consume gel, cream cheese and Basil from QT’s garden. Seven days a week, 10am-3pm (please book and discuss any dietary requirements). $39pp QTea for two served with tea and espresso coffee. $54pp QTea for two served with Champagne Perrier-Jouet, tea and espresso coffee. 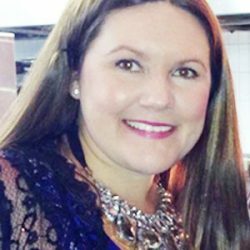 Lauren Paris from Gold Coast MumLauren Paris is a multi-award-winning journalist, magazine editor, blogger and professional services consultant (content development, blogging, proofreading, social media management, publicity and business development). She’s a mum of four children, born in quick succession (including twins), who are now all aged six and under. When she’s not kid-wrangling, tackling Mount Washmore, interviewing celebrities or business figures, writing, editing, or helping clients and small business owners, Lauren also enjoys rare date nights with her hubby, play dates with her children and the odd karaoke or Zumba session.